The 2018 programme has been finalised and we can now give you a glimpse of whats in store. Giving you more reason than ever to participate in the sailing and social scene at SSC this coming season. A vibrant social calendar containing fortnightly Drinks and Nibbles evenings, Musical Performances, Singer Songwriter Nights, Wine & Beer Tastings, Dinners, Barbecues and anything else we can pack in throughout the season. Volunteering opportunities available such as Bar staff, Cooking, Fundraising events. We are kicking off this season with our first social event for members and their guests on Saturday 24th of March at 19:00. A casual blind Wine tasting accompanied by a selection of cheeses supplied by Slate Cheese shop in town. With various wines to taste ranging from Adnams best sellers to Super Market Wines, the highest rated wines will be stocked behind the bar for 2018. Can you taste the difference? We are offering the chance to win a bottle of wine from the tasting if you can guess the Country of origin, the ABV and the grape used in the wine. Click here to book your ticket for this 2018 icebreaker. Our programme has been tailored to cater for all ages, agility and abilities. We aim to provide easy access to sailing for all offering something for everyone. Taster Opportunities-including open days and ‘bring a guest’. Learn To Sail Programme-offering members 4 training sessions included in their membership. Training is given in Laser Pico’s & Wayfarers. Sunday Funday’s-throughout the season consisting of general sailing, casual racing, picnics and fun. Swallows & Amazons-monthly river trips along the River Blyth for all, specifically focused towards the older and less agile members who prefer a tranquil sail. Picnics and pub lunches up the River Blyth. Spring, Summer and Autumn Series-series of races with trophies up for grabs.Trophies are presented at the Annual Dinner and Prize-giving. Sea Sailing-for the more experienced sailors who are hungry for some high performance sailing. Laser 2000’s used for this activity. Cruiser Programme-Cruiser trips to Lowestoft for lunch at the RNSYC with opportunities for members to go along. East coast sailing to River Deben, Longer passages to Holland. Incentives to Volunteer-regular Safety Boat training sessions are offered to members who volunteer in assisting with the running of activities. From July we will be running RYA Power Boat Level 2 courses for volunteers. We also hold regular shore based ‘Wind & Tide Reading and Sea State Prediction’ sessions which help members to develop their own thought process, enabling the less experienced members to determine the suitability of weather and sea conditions. We are also looking to invest in members with the right level of experience and who want to take on a larger role in running activities by helping them to complete an RYA Dinghy Instructor Course. But I don’t have a boat! We have received various funding over the years to purchase the equipment necessary to get you from non member to active member. The club has several fleets of sailing dinghies available to use for all of the activities in the programme. All of our dinghies are available to use for £5 per person. This small cost is a contribution towards the maintenance that they require due to the use they receive. 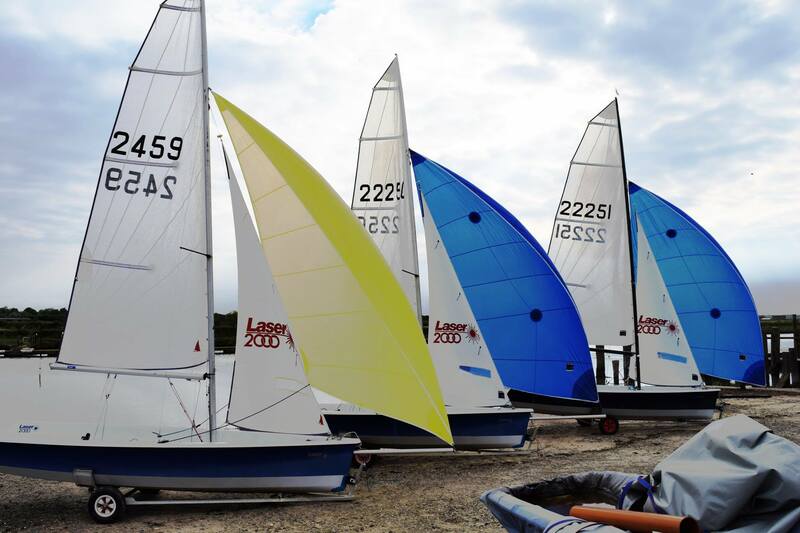 7 Laser Pico’s–these are single handed dinghies great for kids and adults to learn sailing in and for messing around in. 2 Toppers–these are great for really small people as they are lightweight and easy to manoeuvre. 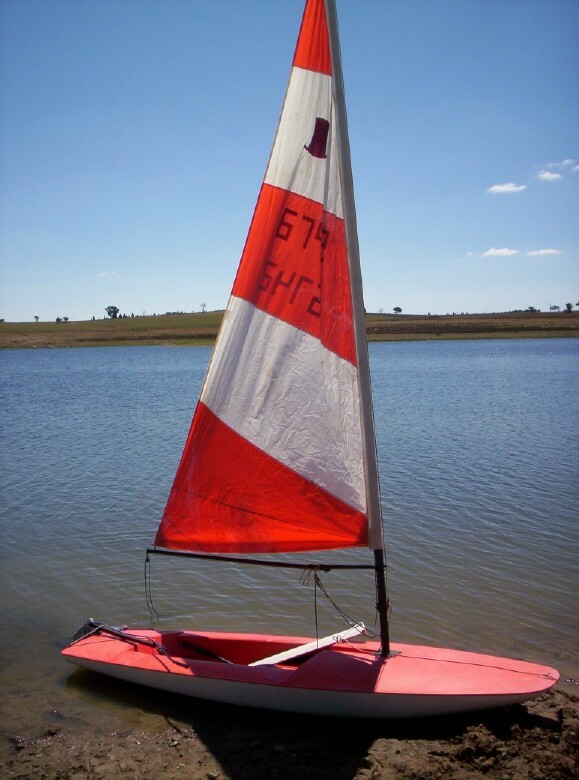 3 Wayfarer dinghies–these are double handed dinghies and great for learning to sail in. They are stable and good for less agile sailors too. They comfortably seat around 4 people. They are great for a stepping stone to a Laser 2000. 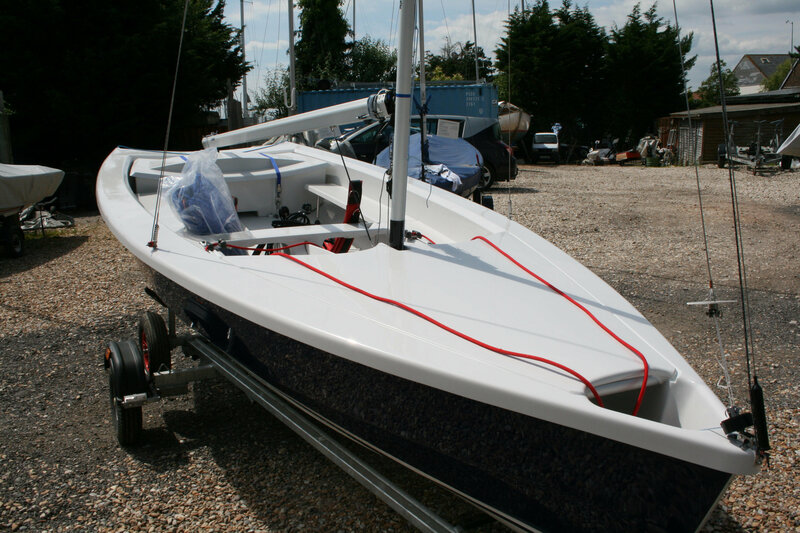 3 Laser 2000’s–these are a higher performance sailing dinghy, less stable and more demanding. More suited towards experienced sailors. 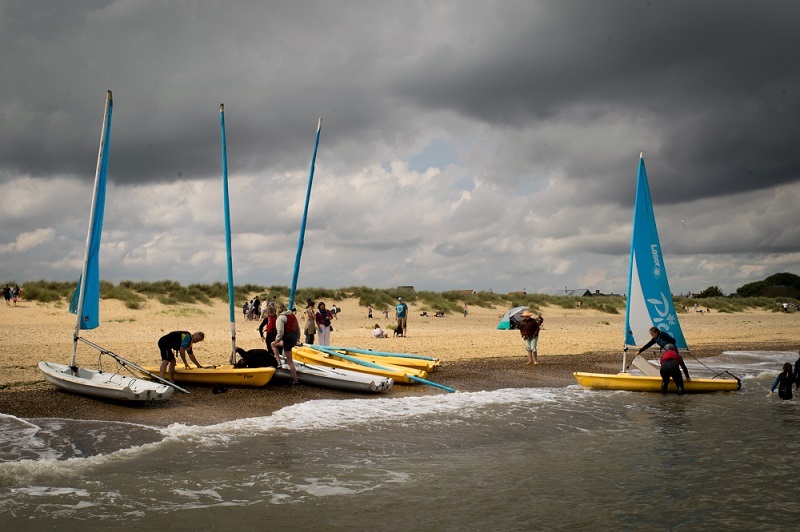 The activities at Southwold Sailing Club only happen as a result of its members taking a turn in helping to run the activities. Whether it’s the bar, refreshments, running the sailing or providing safety cover on the water we would really appreciate some help in return for some training that will help improve your skills too. Unless you already have lots of experience of course. Please take a look at some of the duties and roles that we really require some help with and if you fancy having a go at any please select some dates and register your name for the task. Throughout the season we plan to have fortnightly social gatherings which will range from casual drinks and nibbles to larger events such as music and dinners. We really need volunteers to help work on the bar for these events so please sign up for the odd date by clicking here. Training given. Click here for the duties for this role. Whenever there is sailing taking place, there is always someone in charge. The OOD gets everything ready in the morning, they work closely with the safety boat crews, following operating procedures and check lists to help guide them, make decisions to ensure the environment is safe and fun for the sailors and run the days sailing/racing. You don’t need to have lots of experience although the more experience you do have the easier you will find it. If you are keen to have a go then we will be right by your side! Depending on the weather this could be at sea or river and generally for Sunday Fundays. Training can be given along side. Click here to volunteer! Swallows & Amazons will be taking place along the River Blyth. If you fancy having a go at OOD Duties for this then it is recommended that you know the channel well as it can be hazardous. If you don’t know the channel well then we can be by your side while you get to figure it out. Click here to volunteer! See here for details of the role including Safety Boat and RIB operating procedures and check list. We have 2 Safety Boats and each one must be occupied by a competent helm and at least one helper. Without safety crew sailing can’t take place. It’s good fun watching the sailing for a change and being ready to offer assistance to a sailor keeps you on your toes. We can be by your side while you gain the experience. Click here to volunteer! If you are an existing member and would like to renew your membership or if you would like to become a member of SSC please download and complete a membership application form. We offer 40 dingy parking spaces and 13 spaces for cruiser hard standing. If you would like to store your dinghy/cruiser then please complete a Dinghy Parking and Hard Standing application form. If you have any questions regarding any of the topics in this newsletter please contact us as we will be glad to answer any questions. Southwold Sailing Club needs your votes to make it to the final round of the AVIVA Community Fund. Southwold Sailing Club has applied for a grant of £8000 to purchase 3 Wayfarer dinghies to help members of the community of all ages and abilities to access the sport of sailing and to enjoy what we love doing the most! Your vote can help to make this happen! Step 1:Click the link VOTE NOW! Voting closes on 21st November where the winners will be selected by a judging panel! Southwold SC became an affiliated RYA training centre in 2014 which has allowed us to run free learn to sail courses for members. The courses are run by volunteer qualified instructors with the support of volunteer club members. As a result of all the hard work from members, the club is becoming more vibrant with lots of energy and a growing social scene which in turn is attracting more members of different ages and abilities. We want to be in a position to accommodate as many people as possible. We currently have a fleet of 7 Laser Pico’s, which we use to run 16 free training sessions each season. These dinghies are small and require agile sailors such as youngsters, fit adults and sailors who don’t mind shuffling around. Unfortunately they are not ideal for less agile and older sailors and do not suit their needs. This is frustrating as we see many sailors have a go but decide they are too uncomfortable to sail and as a result they don’t come back. The Wayfarer is a bigger, more stable dinghy and provide a more comfortable seated position to to sail from, therefore it’s much kinder on your knees. They are often seen with entire families sailing them. Sailing at Southwold has the benefits of exhilarating sea sailing in front of the town, a safe learn to sail river setting and a 4 mile stretch of river where we often make trips up the picturesque River Blyth to the Blythburgh White Hart for a spot of lunch and refreshments. These prove very popular and all types of boats containing all types of sailors turnout to enjoy the group activity in a safe, fun and beautiful environment. We want all members of the community to be able to enjoy these amazing activities at Southwold. To summarise-If you vote and share this page you could help Southwold Sailing Club get a broader range of people onto the water and to enjoy the social aspect of the club. Whether they are retired sailors who think their sailing days are over, retired members of the community, people who have bad joints and are less agile due to injuries, disabled people or even families wanting to do group activities;we want to give you all the opportunity to get sailing and to enjoy the ever expanding and vibrant social scene at Southwold Sailing Club. By casting your vote for us, you can help make this happen, become a part of Southwold Sailing Club and get sailing too! following a busy Push The Boat Out Day on Saturday when the club was buzzing with activity and we took 36 people sailing upriver in Pico’s and Laser 2000’s, here’s a quick update of upcoming events. Thai Red Prawn Curry A fragrant thai curry with tiger prawns, sweet potato, green beans and baby corns. Served on a bed of rice. Gourmet Fish Pie Chunks of cod, smoked haddock and salmon in a creamy wine and dill sauce. Topped with cheesy mash. Served with fresh veg. Fish chowder Chunks of fish in a stew with creamed corn, onions, peppers and green beans. Served in a cob. 7pm for 7.30pm service. All 3 meals to share between 2 people. £15 per head. After Dinner there will be sea shanties in the bar. If you would like to to book please contact Marie on 07854 004458. Spaces are limited to 40 and there are only 10 left so get in quick. We will sail (maybe even race) to the White Hart for tea. Start at 14:00. Club boats are available for hire, bring the family or send them by road to meet for food and a drink before sailing back on the ebb tide. email southwoldsc@gmail.com to book your boat. Volunteers for rescue boat crew would also be appreciated. The Javelin fleet will be making their annual pilgrimage to the East Coast. If you can help on or off the water please get in touch by emailing southwoldsc@gmail.com. We are expecting between 6-10 visiting boats. As the sailing season starts to draw to a close, we have a few events to draw to your attention, along with a request for help! On Saturday 22 October, we have a working party during the day, storing away everything for the winter. Many hands make light work, so do come down and lend a hand, as well as working up an appetite for the evening…..
…which is our Annual Dinner & Dance and Prize Giving. Arrive from 7pm ready to sit down for dinner at 7.30pm. This year our dinner is being catered by Café 51, so the food is sure to be good. The cost of the evening is £25 per head (with a reduced rate for children), and tickets can be bought in advance from Café 51 on Southwold High Street, or by emailing marielouisebell@hotmail.com. After the meal there will also be a Disco until 11.30 so bring your dancing shoes! Café 51 have asked for all menu choices by 15 October, so please ensure you have got your tickets before then. This is a lovely way to round of the sailing season, so if you haven’t been before, then do come along. We are also bringing back the Children’s Christmas Party this year, on the afternoon of Sunday 11 December. We’ll have party games, food, a roaring fire and a special visitor! More details to follow, but for now, get the date in your diary. This weekend the club are hosting the Javelin National Championships. The Javelin class are regular visitors to Southwold and with some familiar faces amongst them, we welcome all the sailors and their families. As well as the 6 races in Sole Bay we have a fun social programme planned to which all members are welcome, the bar will be open Friday and Saturday evening with Adnams bitter on tap and on Saturday evening we have a BBQ provided by Mills & Sons Butchers. Breakfast will also be served on Saturday and Sunday morning. Saturday 25th June, 12pm – Race 1. To be followed by Race 2 & 3. Saturday 25th June, 7pm – bar open, BBQ provided by Mills & Sons Butchers, Music. In May we hosted a successful Open Day as part of RYA Push The Boat Out Week and 30 people enjoyed a sail on the River Blyth in our laser 2000’s with a number of them becoming new members of the club. We look forward to seeing them on the water and in the bar! The quiz night was a great success, 8 teams competed and £193 was raised for the Learn to Sail programme and RNLI. Meanwhile the Training programme continues to flourish with 7 sessions completed this season. There are a few places left particularly during the middle of August and towards the end of the season, so please get in touch with Mike Carter if you would like to book. Sunday racing has been quiet so far, but with the weather improving there is still plenty of time to get on the water. Bar Open Friday, Saturday 7-10pm, Sunday 1-3pm and 7-10pm. We have created a simple crew register to enable boat owners and sailors to advertise for crew Wanted or Available. The crew register can be accessed here Crew Register, follow the instructions in the description section. SSC is starting to get ready for Summer! SSC is busy getting everything ready for the Summer. Beginners training schedules, socials, races etc. Stay tuned! Hello all, the AGM was on the 11th of September and the membership form has been updated! Great day up the river yesterday for the August regatta. Very good turn out too given the typical bank holiday rainy weather. Although the junior race was abandoned due to the sketchy wind conditions and massively underweight helms; consisting of an average age of 8 years old, however fun was still had by all the juniors, many capsizes putting their skills to the test. We did manage to complete a race for the slightly heavier sailors still ranging from very young to not quite as young (parents). If any one else has any more pics from today please do share! Well done to every one who took part!